The Parish Council are pleased to announce that the results of the recent survey are now available. A village meeting to give a full presentation and begin the development of an action plan response will be announced shortly. In the meantime please feel free to download your copy by clicking on the image below. Kingsdon Parish Council is aware that there are some changes likely to impact on the Parish in the coming years. Among these are the Kingsdon Estate’s sale of 1065 acres of agricultural land, and the much used current Village Hall approaching the end of its useful life. 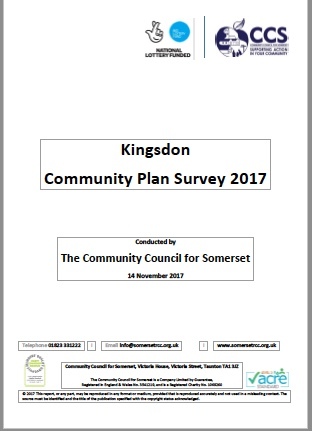 The evidence from this survey will be used to update the Kingsdon Community Plan which will prioritise the improvement of public facilities and services provided in Kingsdon over the next 5-10 years. * Examine the importance of current Parish facilities and Housing, and what may be needed in the long term to meet the needs of the community. * Surveys were distributed and collected by Parish volunteers. * In total 92 valid responses were received giving a 59% response rate. 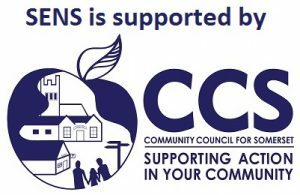 * The survey was promoted widely within the Parish through the Parish Magazine and website, Village Group email, posters in public areas, local businesses and amenities, and through word of mouth. Research was conducted between 10 – 29 September 2017.